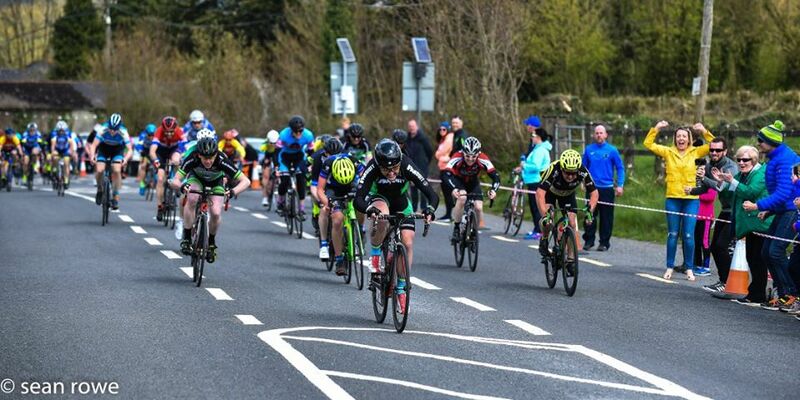 One of Panduit Carrick Wheelers latest additions, Peter Fitzgerald has ridden to victory in what is his first ever win, at the Dungarvan Open Race. An ex-triathlete and Ironman, Peter took out an A4 licence this year, pulled on the Carrick kit and began competing in road races. He came close to taking his first win at Rás an Laois in March where he came second but nobody was going to deny him the honours today, when he was first over the line in Modeligo village just outside Dungarvan. The riders were required to do two laps of the Colligan Hill circuit totalling just less than 70km. The bunch remained together all day, with a couple of attacks being brought back as soon as they happened. It was not until the race reached Millstreet on the second lap that Fitzgerald realised that he had to position himself correctly if he was to go for the win. Moving up the outside of the bunch, he was setting himself up for the sprint and with 250 metres to go, he put the head down and aimed for the line. “I had come so close in Laois last month, I decided that I was not going to look around at anybody, I just kicked into gear and never looked back” said an elated Fitzgerald, who has now, as a result of today and his past second place finish, been upgraded to the A3 category. In today’s A3 event, Martin O’Loughlin, who needs no introduction, finished in a fine 7th. place. In the main event, the A1/A2 race, we had a total of seven riders competing. It began at a frantic pace of 45km/h for the first hour. The break that formed gained and lost riders throughout the 140km distance but at the line, Cathal Purcell, just back from injury, took 4th. place. The racing kicked off earlier this morning with the youth events. The u12 and the u14 events were run at the fantastic facilities of Rally Connection. We had two riders competing between these events, Tom Kinsella in the u12 race where he finished 3rd. overall and Patrick O’Loughlin narrowly missing out to come 2nd. in the u14 event.